L-R: Pensado's Place co-hosts Herb Trawick and Dave Pensado. Santa Monica, Calif. (April 14, 2015) — On Saturday, April 18, 2015, the team behind Pensado's Place, the acclaimed weekly web series recognized as the most influential web show for engineers, mixers and producers, will travel to Washington, D.C., for a free roundtable discussion and music event dubbed Capital Jam. Presented by The Recording Academy®'s Washington D.C. Chapter in collaboration with The Recording Academy Producers & Engineers Wing® and Studio202DC, the event will take place at the historic Howard Theatre (620 T Street NW, Washington, D.C. 20001). Along with Pensado’s Place co-hosts Dave Pensado and Herb Trawick, guests slated to appear include DJ Ali (Kendrick Lamar, Schoolboy Q), Michael Brauer (Coldplay, Calle 13, John Mayer), Young Guru (Jay-Z, Kanye West), Kuk Harrell (Rihanna, Beyoncé, Shakira), Gavin Lurssen (Alison Krauss, T-Bone Burnett), Ann Mincieli (Alicia Keys, Pharrell Williams, The Amazing Spider Man 2) and Noah "40" Shebib (Madonna, Drake, Tyga). These guests will participate in a panel discussion, which will offer attendees perspectives from their successful careers in recording. Sponsors include The Blackbird Academy, Vintage King Audio, Audio-Technica, RRF, Avid, iZotope, Berklee Online, and G-Technology. Doors will open at 11:00 a.m. EDT for on-site registration; the program will take place from noon – 2 p.m. EDT. Registered attendees will be eligible to win prizes, gear, software, internships and merchandise. Maureen Droney, Managing Director of the P&E Wing, states, "The P&E Wing supports Pensado's Place, who has given a voice to producers and engineers through their show, along with Dave and Herb's additional efforts and endeavors. This event with our Washington, D.C. Chapter is a great opportunity for us to collaborate with the Pensado team and to provide a forum for all of the talented individuals who are joining us to share their experiences with the D.C. recording community." Trawick states, "We at Pensado's Place cannot wait for this event. It is always a privilege to get out and about in recording communities around the country, and we’re looking forward to educating the attendees and letting our panelists share their perspective with them – not to mention the prizes and internship opportunities we will be giving out throughout the day. It's going to be a wild, fun time. The theater holds 525, and we are planning to fill it!" 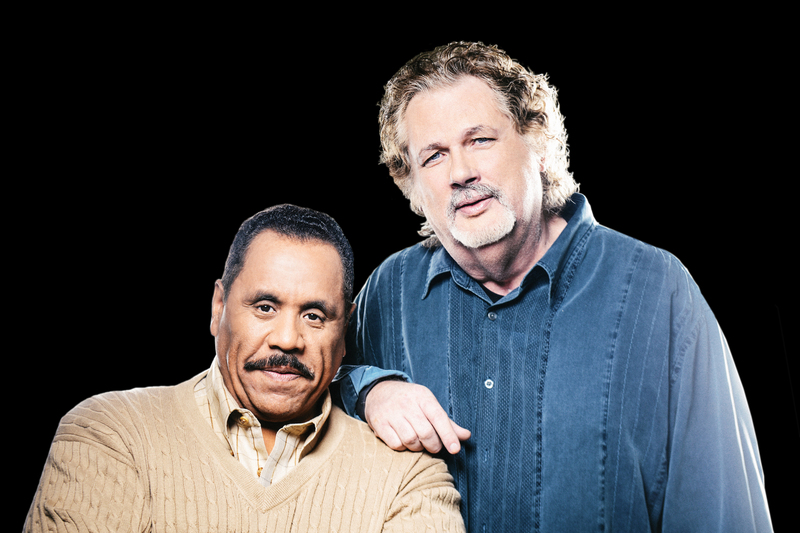 Photo Caption: Pictured L-R: Pensado's Place co-hosts Herb Trawick and Dave Pensado.